When gene sequencing suddenly became affordable, researchers were confronted with an enormous opportunity – and an enormous problem. For the first time, scientists could map out the genetic instructions that dictate how a person’s body works, and could see how mistakes in those instructions relate to disease. But the genetic data was so vast that no one could analyze it efficiently. BRI responded by launching a program in bioinformatics – a cutting-edge field that merges computer science and biology. The institute hired bioinformatics experts and built a state-of-the-art computer infrastructure. Now BRI’s eight-person bioinformaticians team uses big data tools to rapidly analyze sequencing data, fueling discoveries about everything from type 1 diabetes to food allergies. When Hannah DeBerg, PhD, was a graduate student, she wrote computer code that helped her analyze complex chemical structures. Part biologist, part computer whiz, she came to BRI because she wanted to make a difference in people’s lives. Dr. DeBerg and her colleagues in BRI’s Bioinformatics Department provide analytical muscle to the institute’s researchers. For example, BRI scientists constantly analyze blood samples from people who have autoimmune disease and compare them to samples from healthy people. This includes using a high-tech sequencing system called the HiSeq 2500 to pinpoint which bits of RNA – proteins that communicate genetic instructions – are in each sample. 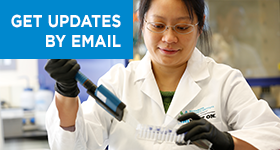 Each sample is home to anywhere from several thousands to several million of RNA pieces. The bioinformatics team uses Amazon cloud computing tools to search through thousands of genes to see where each piece of RNA came from. The same tools help count the RNA pieces to understand which genes are especially active in people with a specific disease. 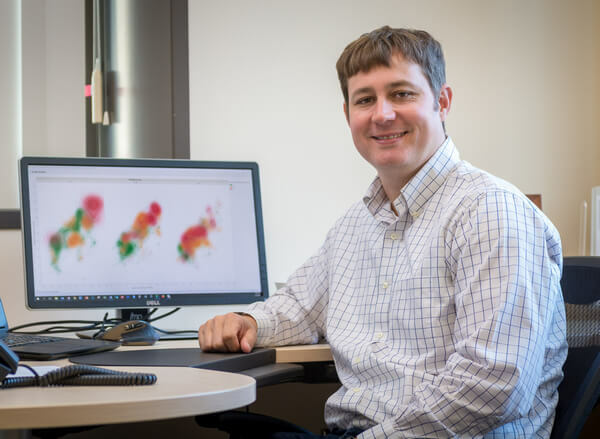 “There are around 20,000 human protein-coding genes, so this is something you could never do on paper – it takes an immense amount of computing power,” says Matt Dufort, PhD. The bioinformatics team also uses programming languages, such as Python and R, to write algorithms that compare patients and reveal which genes they have in common. “If certain genes are more active in people with diseases, it provides clues about what is driving the disease – so we work with researchers to figure out what those genes are doing,” Dr. Dufort says. BRI’s bioinformaticians are fueling insights that could improve treatment for diseases like type 1 diabetes. 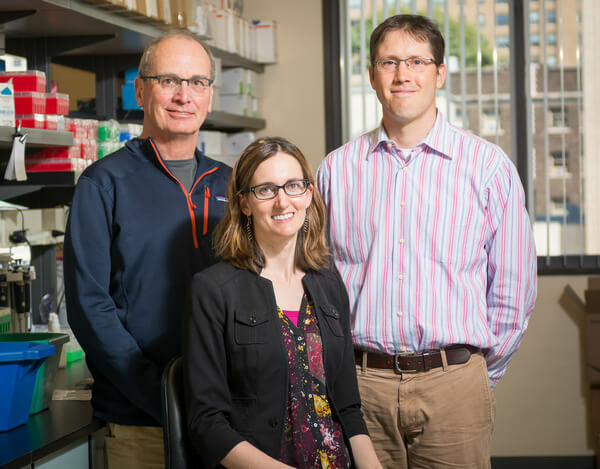 For example, Dr. Dufort and his colleagues help Dr. Linsley’s lab study immunotherapies that slow down type 1 diabetes by extending the body’s ability to make insulin. The bioinformatics team analyzes blood sample data from patients who respond to drugs, looking for clues about why they’re different from patients who don’t. The bioinformatics work includes designing the analysis to yield the most accurate results, and then using other data or statistical tests to confirm those results. “This could lead to a test that lets doctors predict whether the drugs will work for a particular individual,” Dr. Dufort says. It’s also a step toward a day when doctors can tailor autoimmune disease treatment to individual patients. “Someday, we want to be able to evaluate patients with type 1 diabetes and say, ‘you have this particular strain of the disease, and we know exactly which treatments can help,’” Dr. Dufort says. Tee Bahnson grew up in a family of physicians and scientists and intended to follow in their footsteps. But as a pre-medical student, he became intrigued by a different field: biostatistics. Biostatisticians merge statistics with biology to answer complicated medical and biological questions. “I realized that I really enjoyed research and the academic side of things and that it offered a different path to helping patients,” Tee says. He put off medical school to earn a graduate degree in biostatistics – and never looked back. Today, Tee works with the Diabetes Clinical Research Program, the Immune Tolerance Network, and BRI’s bioinformatics team to investigate allergies and autoimmune disease. For instance, Tee and his colleagues are building statistical models to identify people who are likely to have severe versus mild allergic reactions to peanut. “We’re getting closer to having an algorithm that lets patients know if they need to be extra-vigilant with exposure to peanut, or if they can be more relaxed because they might just get an upset stomach,” Tee says.